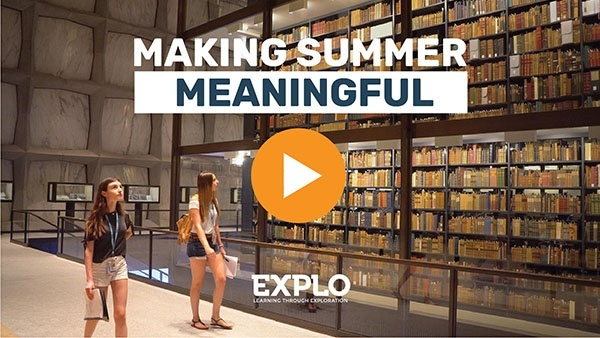 For more than 40 years, EXPLO has created remarkable teaching and learning experiences that inspire curiosity and encourage young people to embark on a lifelong journey of turning over stones, taking healthy risks, and pursuing that which they only ever imagined. Each summer, EXPLO welcome students from more than 40 states and 70 countries to our campuses where we explore the world of people and ideas, and celebrate the differences that bring us together as a community. These bright young people — including Title IX advocates, disaster relief activitsts, presidential honorees — go on to become Forbes 30 Under 30 winners, nonprofit founders, world-class doctors and researchers, and leaders that push the boundaries of knowledge, understanding, and even the universe as we know it! What connects us all is an insatiable drive to explore; a shared desire to be lifelong learners. 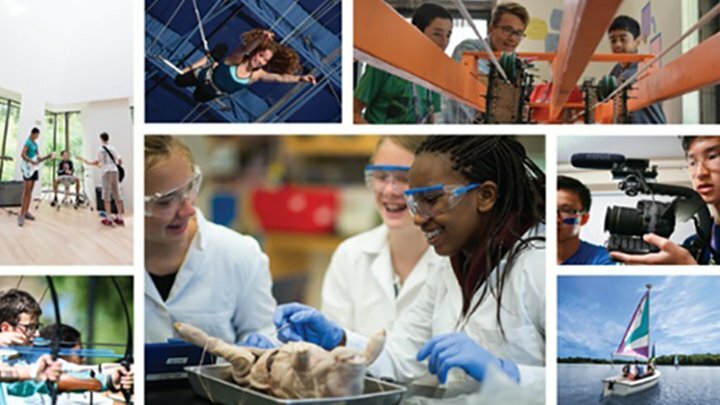 No matter which of our 18 programs you join, whether you are 7 or 17, EXPLO is far more than your standard academic enrichment program. EXPLO is where you discover by doing. Where you find those things that move you to be a positive contributor in this world. Where you are encouraged to act on your talents so that you may create a life of purpose and meaning. Your summer of spirited adventure — and a lifetime of daring and courage — starts at EXPLO. Do You Have Questions? We'd Love to Answer Them! We hope your family will join us for a summer of spirited adventure. If you have questions about any of our programs, or are wondering if EXPLO is the right fit for you and your family, please don’t hesitate to schedule a call with someone from our Admission team to learn more. Everyone in our Admission Office has lived and worked on campus during the summer and we would love to share stories, be a resource, or answer any questions you might have. The above video is a shortened version of a 12-minute video that we play at our national Info Meetings. The full-length version features additional interviews, footage, and details about our programs. 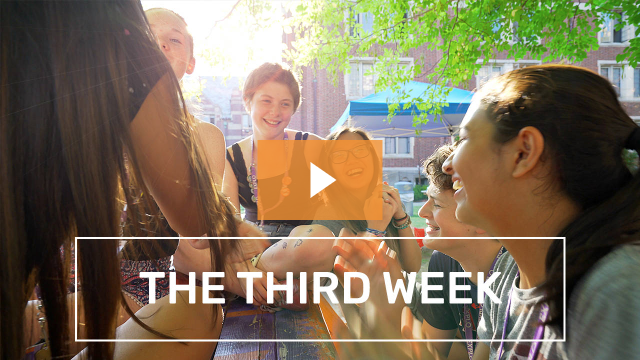 If you can't make it to one of our info meetings, click here to see the full-length version.